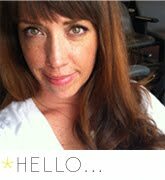 Bionic Briana: chow time & buying local. chow time & buying local. 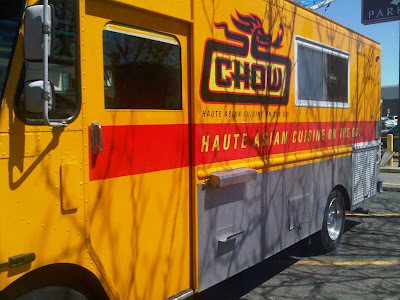 This afternoon, I was finishing up a trail run and, less than a block from my house, I saw the Chow Truck!! I have been wanting to try this mobile restaurant for months but their daily schedule of stops never worked for me. 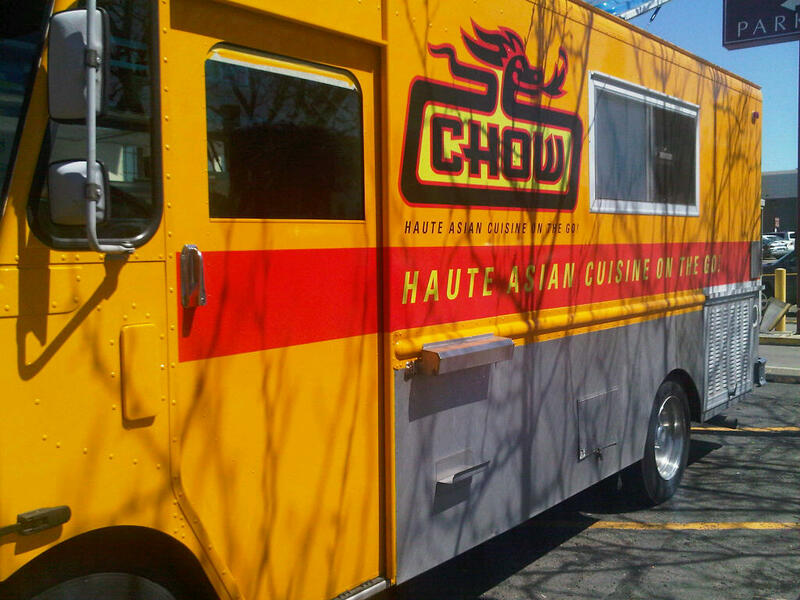 I had no idea the Chow Truck would be in my 'hood today and I was so stoked to see it chillin' in the Post Office parking lot. I love this truck because A. It is inexpensive, inventive and delicious food, and B. It is locally owned and operated (the owners also own the famous Charlie Chow's on 4th South). I love 'buying local'.... it gives me such a warm and fuzzy feeling inside to know that my money is supporting someone who lives in my community. Places like P.F. Chang's and California Pizza Kitchen and Olive Garden and Chili's (just to name a few) DO NOT need my money... you know who does? That cute little restaurant down the street owned and operated by someone that could be your neighbor. Another thing about chain restaurants that drives me bonkers is there is no creativity involved in the food making.... there is a formula for all the food items on their menu (like Orange Shrimp or Penne Rustica or whatever they call it) that is the same across the entire country... it doesn't allow for any creative interpretation by the chef. How unoriginal (and creepy) is it to go to an Olive Garden in Salt Lake City and order an 'Eggplant Parmesan' and then go to another Olive Garden in Cleveland, Ohio and be able to order the exact same thing with no difference in the dish whatsoever!!! Maybe it's just me... but I think it's a little bit weird. I read a factoid the other day on the Local First website about buying local... for every $100 dollars you spend at a chain restaurant (or any chain business, for that matter), only $13 goes back into the community. When spending that exact same $100 in a locally-owned business? $45 of that $100 goes back into the community! I found that fact astounding. Why wouldn't you want your neighborhood whatever-it-may-be to thrive? It is so good for our local economy and local job growth and our local self-esteem to have thriving, locally-owned businesses. I absolutely love going to Carlucci's and seeing the owner in the back whipping up a fresh batch of cupcakes (she did ours for our wedding). Or going to Tin Angel Cafe and seeing the owner's son playing on the patio while he works in the kitchen. It is an awesome feeling supporting local businesses. Lee and I made a pact that we would not dine at any chain restaurants and it has been no problem for us at all. We also choose to support downtown restaurants in hopes that they will thrive and that downtown will continue to be a lively and entertaining place to play, to visit, and to live! There are so many more locally owned places... and of course they go beyond just restaurants and bars. To find any kind of locally owned business you can go to the Local First website. There they have listed every kind of business from 'Home & Garden' (Western Gardens is my favorite) to 'Shopping & Retail' (albeit a bit more expensive but good for one-of-a-kind finds). If you want to help boost the economy?? Buy local and buy often. It'll make you feel amazing... trust me.